Ideal for general sewing, crafting, and applique. Made from nickel-plated, steel and conveniently packed in a stackable, clear plastic container. 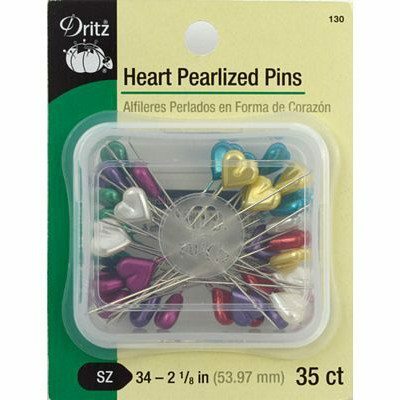 Pins measure 2-1/8in and come in an assortment of colors. Each container holds 35 pins. Size 34.